A Circuit of Silverdale Village. Route. 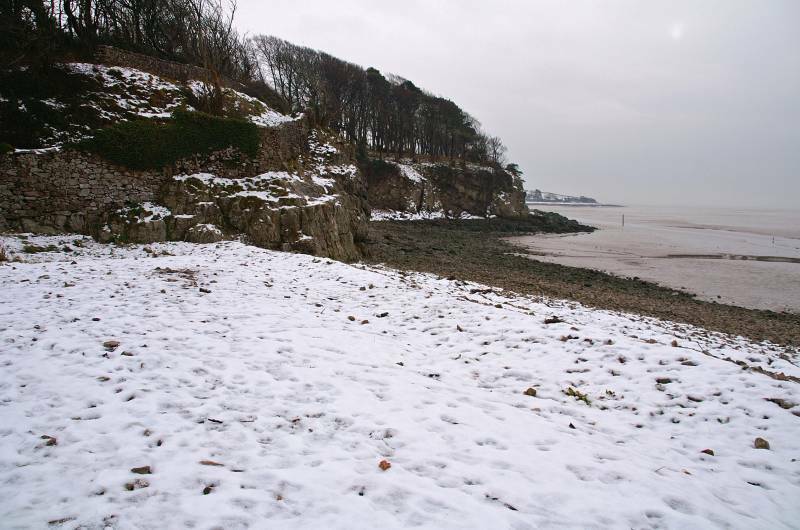 Silverdale (Shore Road) - The Lots - Silverdale Cove - Elmslack - Eaves Wood - King William's Hill - Woodlands - Silverdale Green - Woodwell - Heald Brow - Jenny Brown's Point - Jack Scout - Silverdale. Notes. 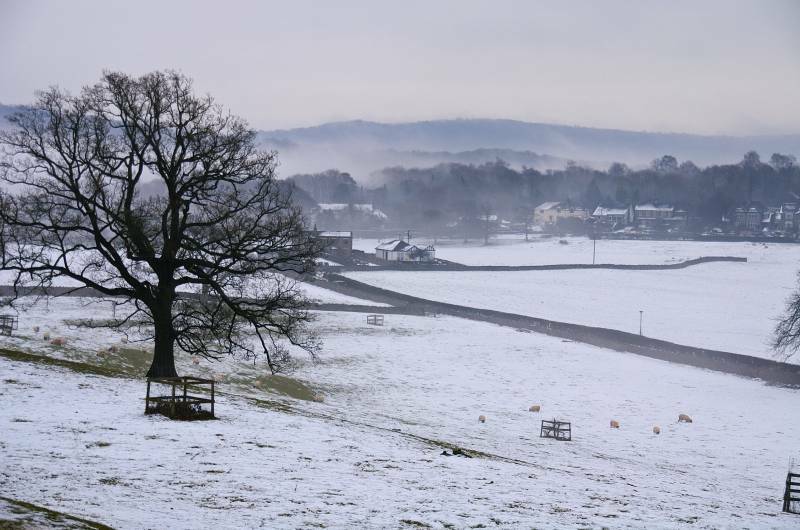 Today was a typical South Lakeland winters day, wonderful blue skies replaced by slate grey, the views by a thick blanket of freezing fog, snow covered the ground which isn't normal for the Kent Valley, if I hung around Kendal I'd be walking through a monochrome landscape. I had a choice to make, drive north into the Lakes or south to the Lancashire coast, I opted for the coast hopefully south would take me into clear skies. I had no particular route planned, I just chop and change things to suit my mood and the time available. 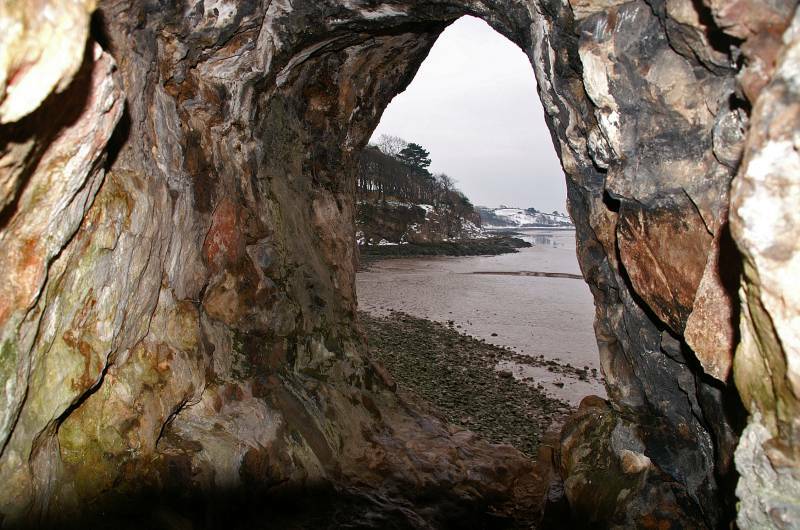 Before setting off I mentally tossed a coin, heads to the beach, tails through The Lots, the coin landed tails up, I wandered through The Lots before descending to Silverdale Cove, along Cove Road I walked to reach a footpath passing between the houses of Elmslack. 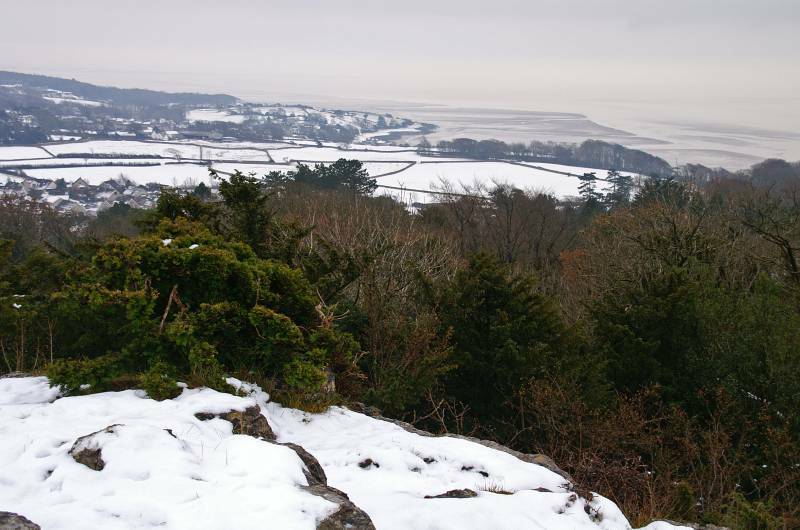 On the other side of the village I ascended through the coppiced woodland of Eaves Wood before stepping onto King William's Hill, the Pepper Pot stands proud on the edge of the limestone escarpment with stunning views over Silverdale. I made the short descent south on way-marked paths to reach Park Road and Bottom Lane, a hundred yards along Bottom Lane a finger-post invited me to the church then Silverdale Green, I obliged. After a delightful walk through pastures I entered a small hamlet of quaint old cottages, this was Silverdale Green believed to be the original farming community of Silverdale, it's a delightful little place. From Silverdale Green yet another finger-post pointed the way, Woodwell Cliff, I followed this path through woodland and grassland before descending the said cliff to reach the spring and pool at Woodwell. 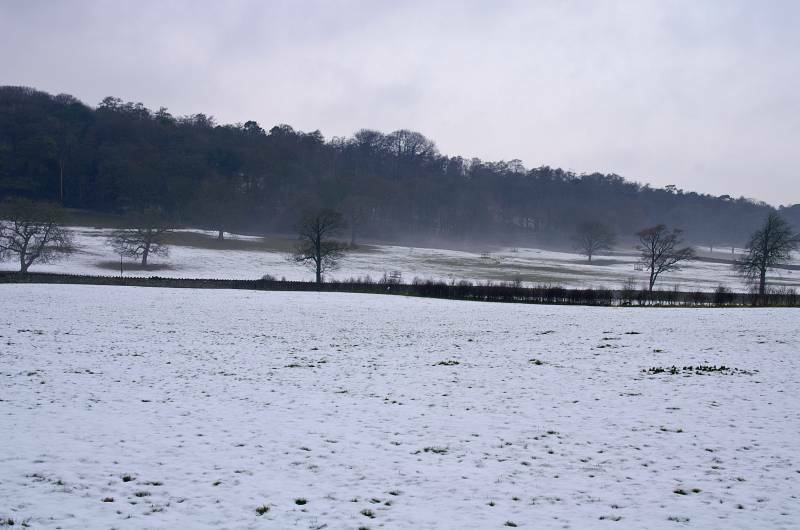 In the shadow of the broken limestone cliff face I wandered south crossing Hollins Lane to enter the fields above Heald Brow, a short slippery descent took me to Jenny Brown's Point before accessing the limestone pastures and scrub of Jack Scout. I walked through Jack Scout before stepping though a gate onto a tarmac lane, The lane lead to the Wolf House Gallery from where it was a short walk back to Shore Road and the waiting car. 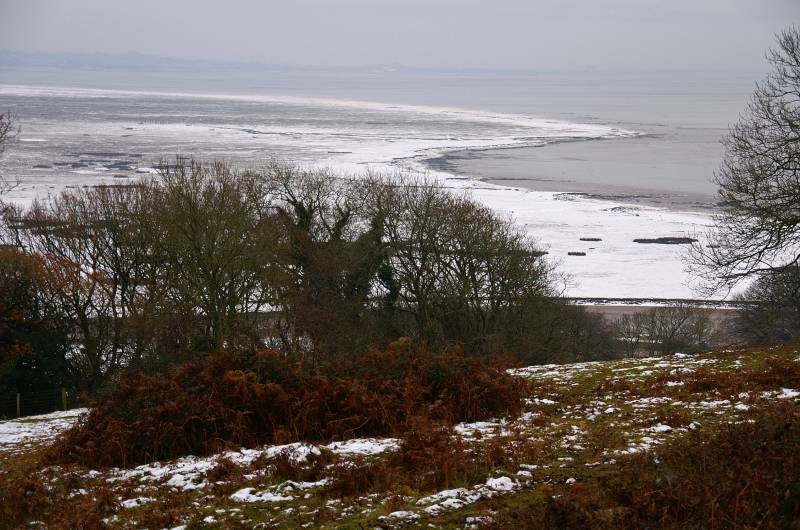 It's an icy walk across The Lots today, looking to Know Hill above the cottages on the Silverdale shore. Looking to Red Rake from the shingle beach at Silverdale Cove. 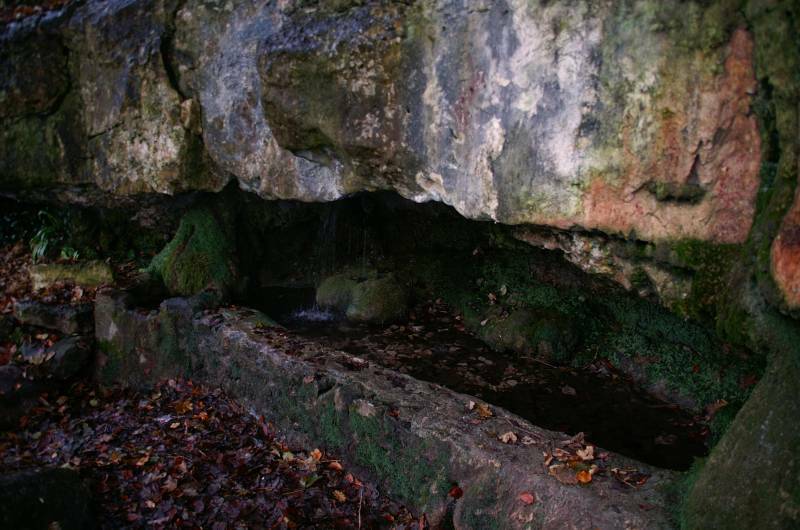 We've viewed this cave many times from the descent of Red Rake, I thought it was time to take a closer look. 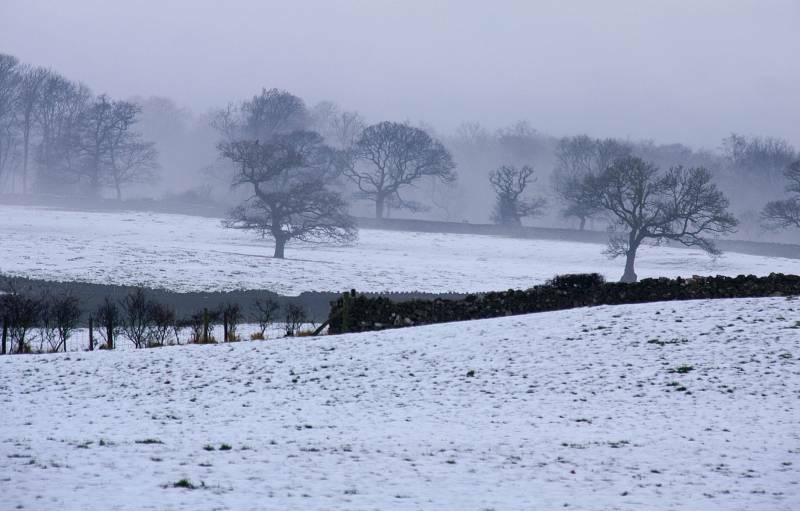 Mist in the fields below Elmslack. 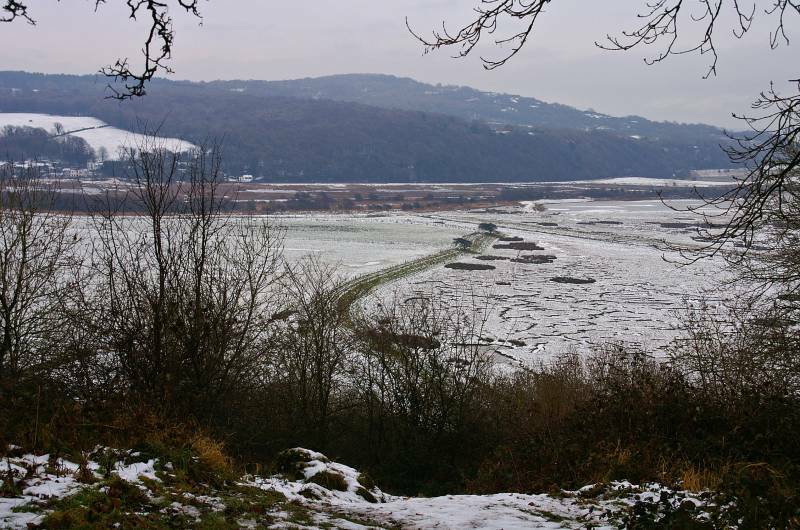 Winter conditions across Silverdale admired from King William's Hill. 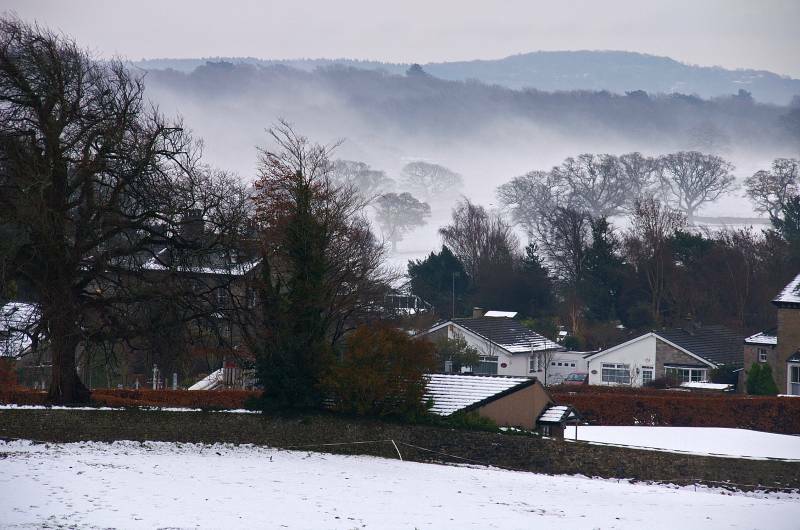 Seen over the tree tops of Eaves Wood, across the skyline Warton Crag. 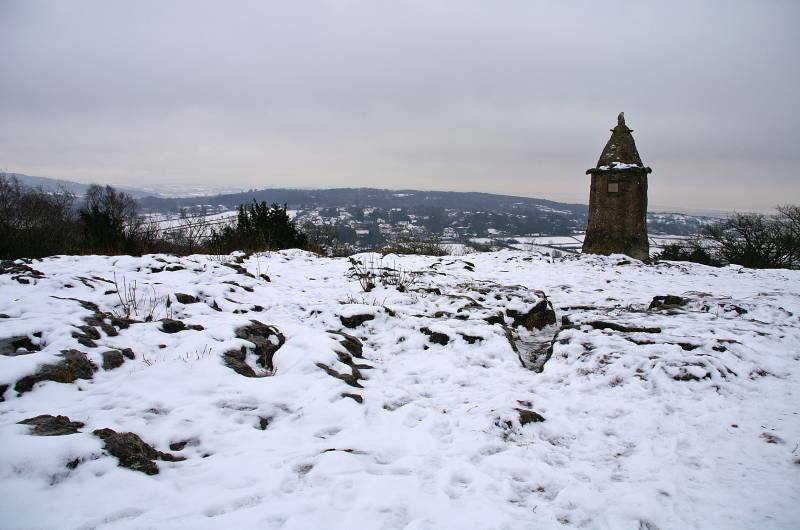 An icy wonderland on King William's Hill, the Pepper Pot stands guard over Silverdale. 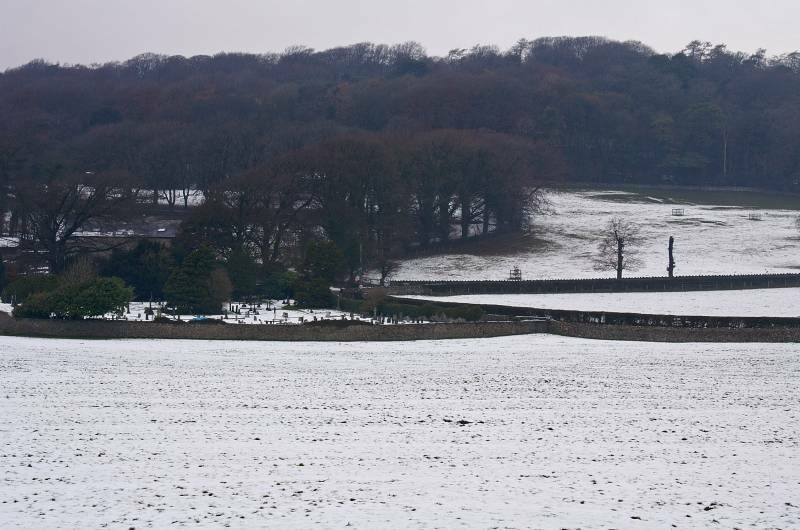 As viewed from the edge of Woodlands, The Row. 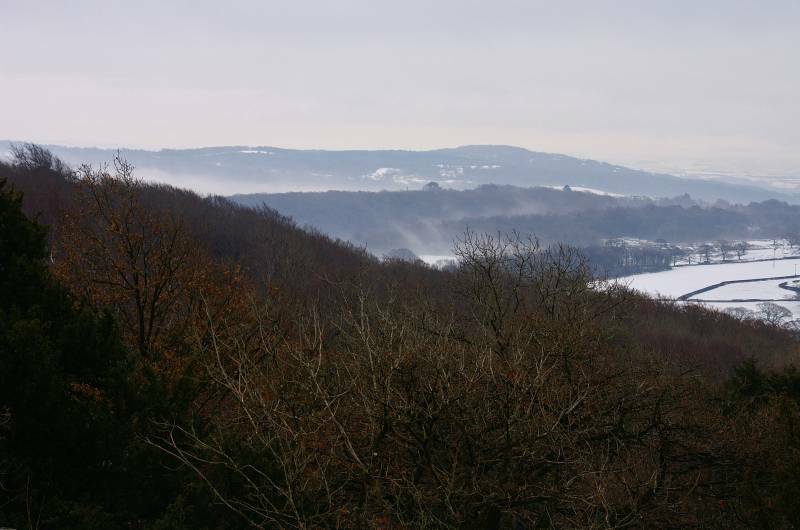 En route to Silverdale Green looking back to Eaves Wood. 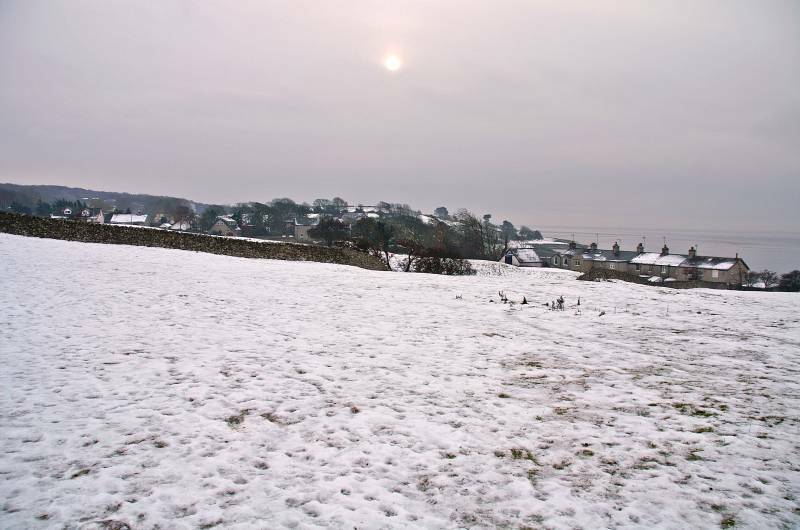 A bleak winter scene across The Park. 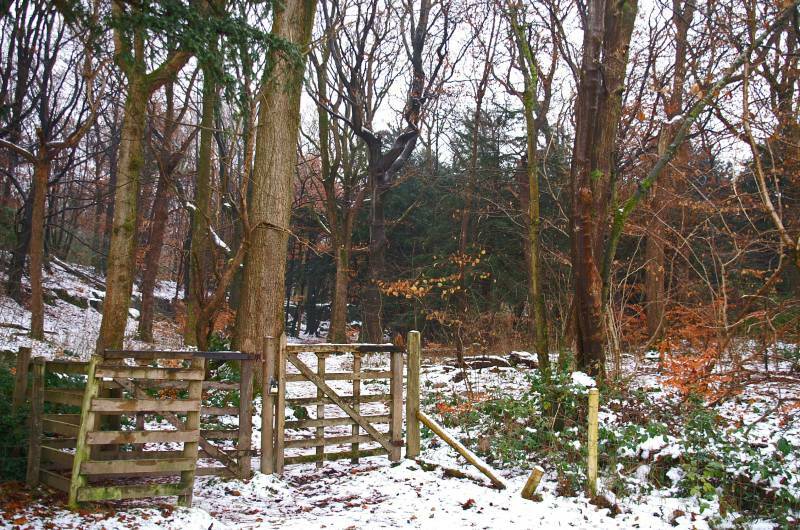 Eaves Wood seen over Woodlands. Above Woodwell Cliff en route to Woodwell. 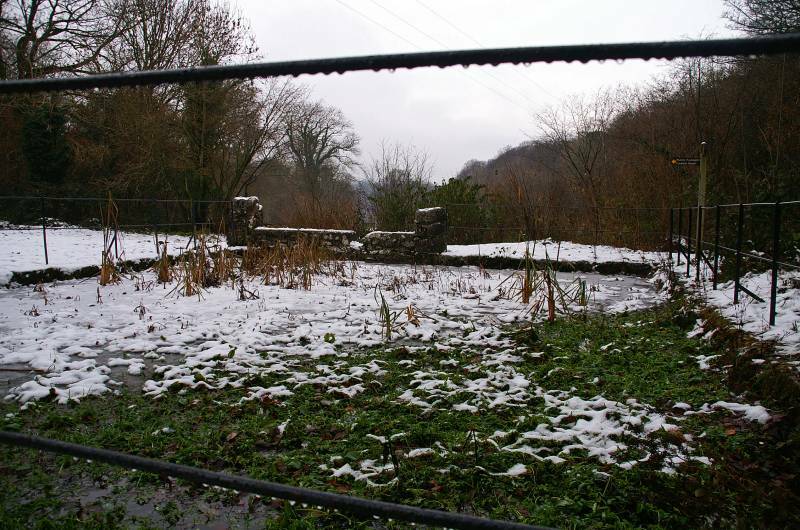 ....and pool at Woodwell, once the only source of water for the villagers and their beasts. 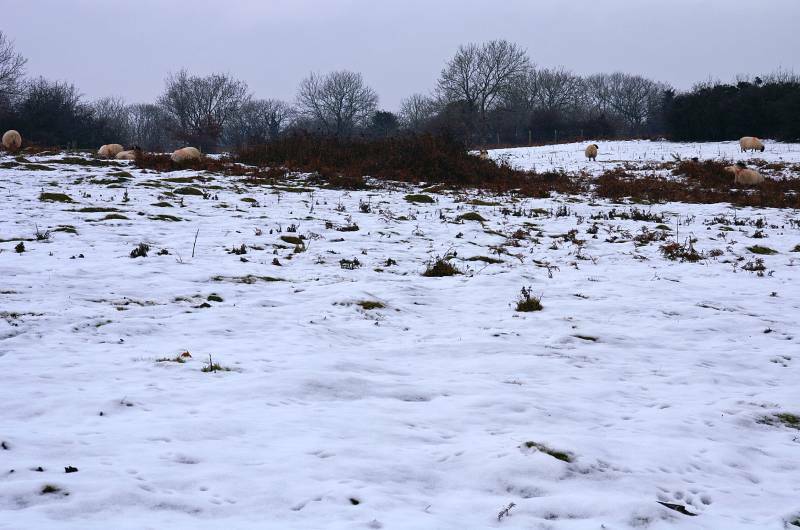 Sheep forage rather than graze in the pastures above Heald Brow. Seen from Heald Brow, Morecambe Bay and the vast tract of sea washed turf and wetland running south from Jenny Brown's Point to Carnforth. Descending Heald Brow looking to Warton Crag. 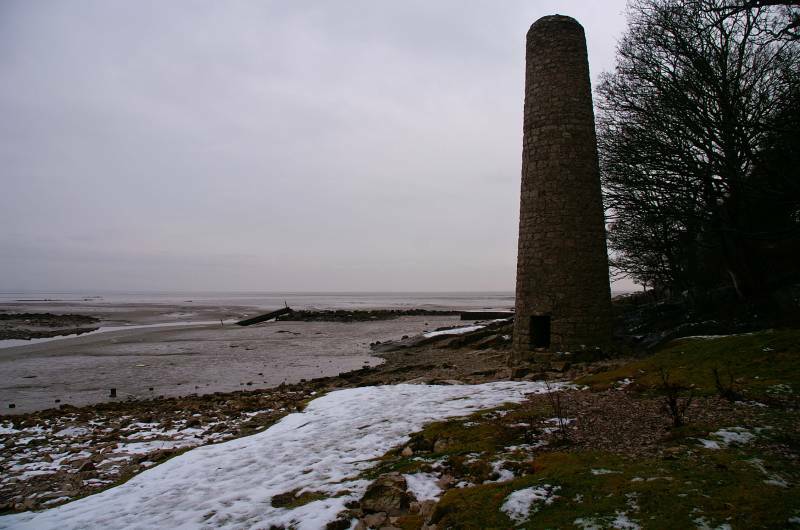 The Smelt Mill Chimney at Jenny Brown's Point, now at the mercy of the Irish Sea, vast tracts of sea washed turf have been spirited away by the tides of Morecambe Bay. 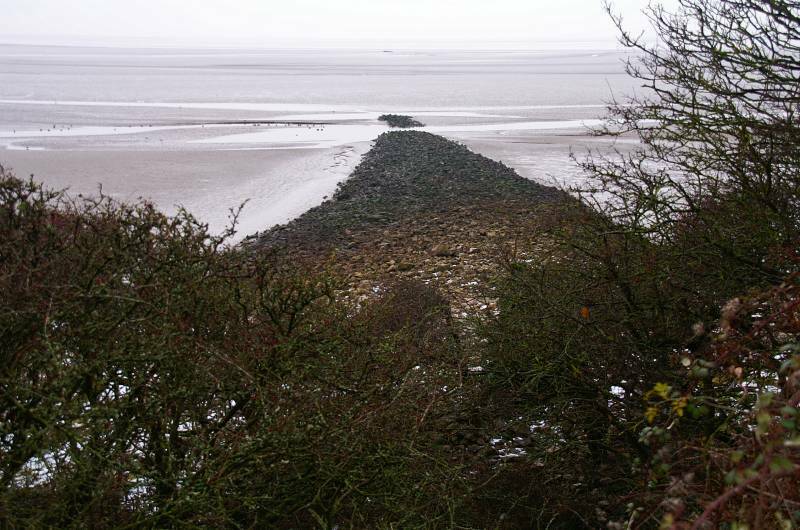 The embankment at Jenny Brown's Point. 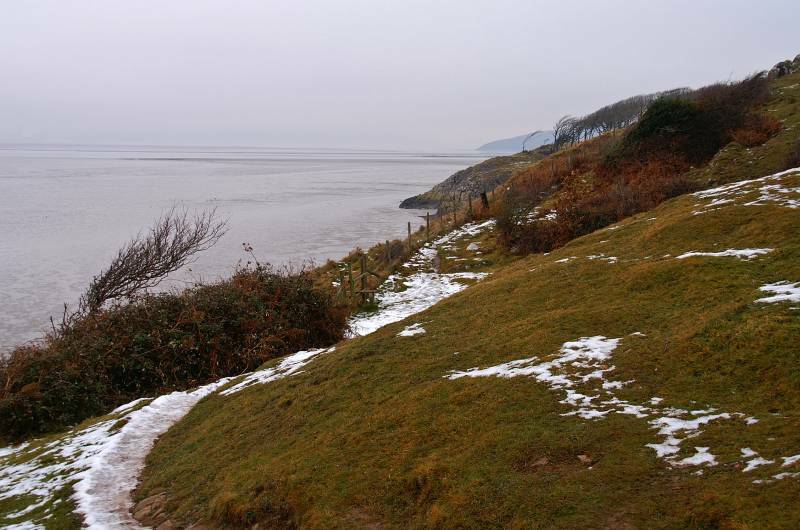 On Jack Scout with hazy views along the Silverdale coast, the grey headland on the skyline being Park Point. 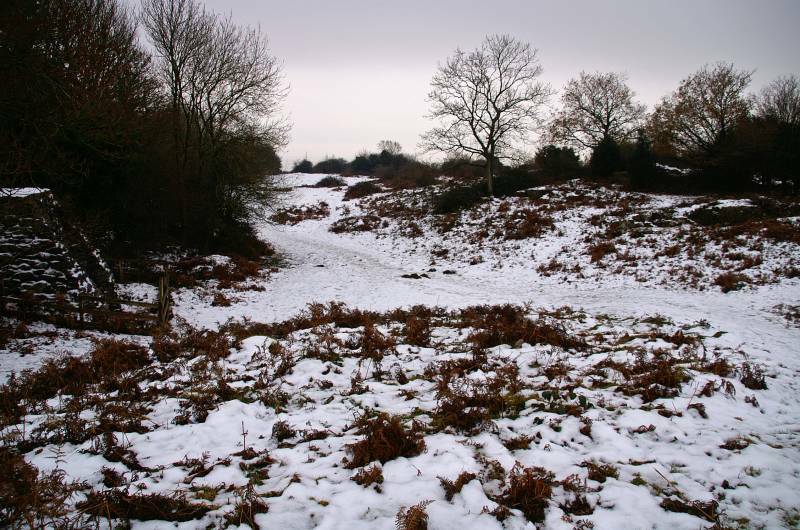 The limestone pastures and scrub land of Jack Scout, in spring and summer alive with rare plants and animals, today quite baron under a coating of snow and ice.